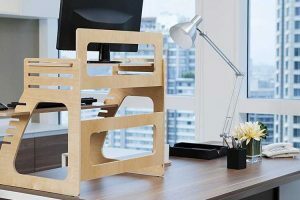 Choosing a standing desk over a traditional desk is the first step to making your workstation far more comfortable. It’s important to remember, the more you sit in the office, the more uncomfortable your body will be at the end of the day. This is why more businesses are transitioning to use ergonomic furniture. 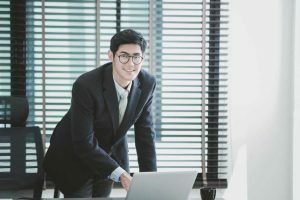 When it comes to adjusting to your standing desk, there are plenty of things you need to think about such as the average standing desk height, giving your ankles enough support, and learning when it’s time to stand and sit down. As with any change in your routine, choosing a standing desk means there will be an adjustment period. 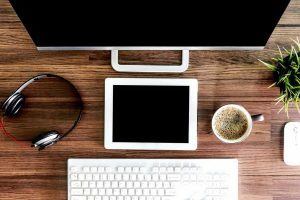 But before you make your assumptions about whether or not your new desk is working, consider these great tips to help you adjust faster. Even though we’d all like to assume that we can transition from sitting for eight hours to standing for eight hours, it’s simply not the way it goes. In fact, you may only find that for the first few weeks of adjusting to your standing desk, you’ll only be able to stand for three to four hours. To prepare your body for this change, it’s best for you to find a standing desk chair that is designed to accommodate the height of your new desk. 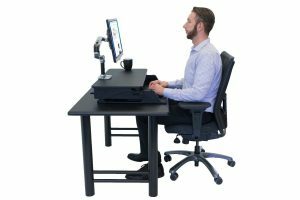 This will give you the opportunity to rest your legs until you’ve built enough strength to deal with standing for up to 80% of the workday. Similar to training your body to stand up straight when you’re walking around, you’ll need to focus on your posture while using your standup desk. This may take a little longer than you expected, especially if you’re the type of person who slouches more often than not. The best way to test your posture is to put your feet shoulder width apart and push your chest out with your head held high. If you notice you gain a few inches in height, your posture may be a little worse than you originally thought. For additional support, you can easily find posture correctors that fit comfortably under your clothing and are designed to promote healthy curvature in your spine while you’re at work. No matter how you look at it, there won’t be an average standing desk height simply because everyone has different heights. The entire premise behind these ergonomic pieces of furniture is to give workers the ability to adjust the table as necessary. For example, a taller employee is going to need to use a higher adjustment than a shorter person. The best way to determine what height will work for you is to pay attention to how you angle your head to look at your computer monitor. Ideally, your monitor should be resting slightly above eye level, so there is a slight upwards tilt in your neck. Otherwise, you will either be looking directly down at the computer or directly up, which is going to put an abundance of unnecessary strain on your body. 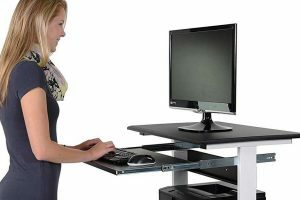 You will also want to ensure that the desktop falls at the height of your elbows when they are held 90 degrees from the floor. 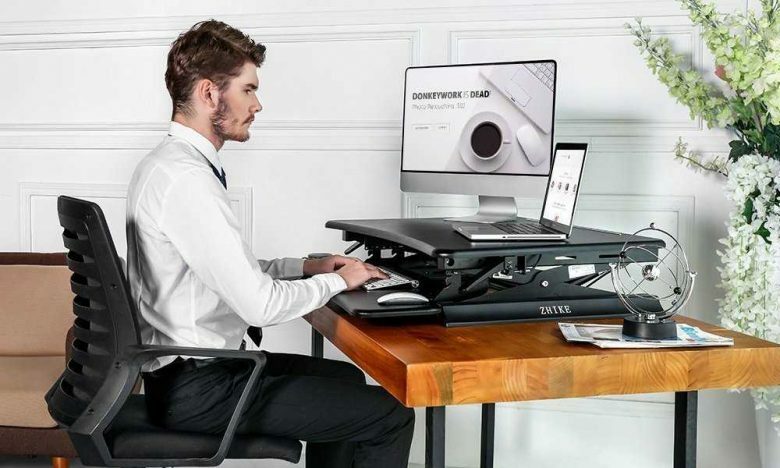 Again, the average standing desk height is different for everyone, and so it’s important to find a model with adjustable legs so you can customize your workstation as you see fit. Unless you work in an office that hasn’t spared any expense, you’re quite aware of how hard office flooring can be. In most cases, there may not even be an under padding beneath the carpeting. Imagine standing on a hard floor for up to six hours at a time; it would surely wreak havoc on your joints, your ankles, and your feet. With the help of standing mats, they are designed to give your lower extremities the support they need to stay strong and comfortable for extended periods. You may want to consider finding gel infused mats or anti-fatigue mats as they are specifically designed for people who are on their feet for most of the day. 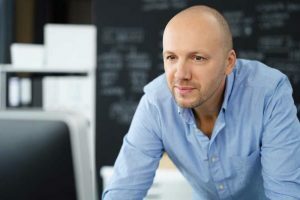 As two things that most people wouldn’t assume would affect their standup desk, you may find that you need to reposition your keyboard and mouse. Working on a computer for long hours can increase your chances of wrist strain, and you will need to protect your wrists while you’re standing. Ideally, these two items should be at the same level to where your wrists remain straight. In the event that you are still experiencing discomfort in your wrists, you may need to consider finding an adjustable keyboard stand and specialty mouse pads to help with additional support. Even though the main idea behind a standup desk is to give your body the support it needs to feel comfortable throughout the day, there’s no harm in taking a few minutes every hour to stretch your body. 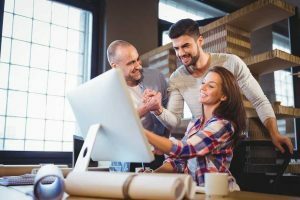 Whether you decide to go for a brisk walk during your lunch break or a trip to the break room for a cup of coffee or water every hour, you need to become more mobile. Giving your body the ability to stretch out strain is what will give you a stronger foundation to increase the number of hours you spend standing at your desk. It’s also important that you take time to rest your eyes as well as your body. Eye strain is the second most common complaint from workers that use computers on a regular basis. The human body was never designed to stare at a flickering screen for hours on end and as such, taking breaks allows you to prevent eye disease and pain. With the help of understanding how to adjust to your standing desk, you’ll be well on your way to living a healthier life at work. It may take a few weeks for your body to adjust fully, but once it has, you’ll experience more comfort than ever before.